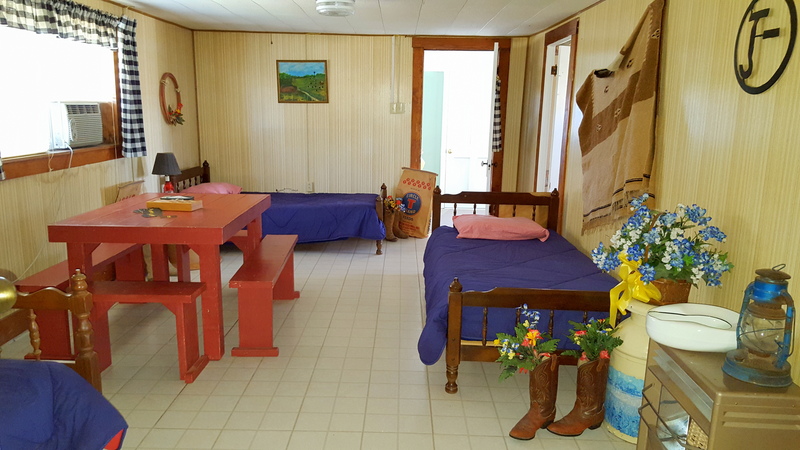 The Bunk Room sleep three (twin beds) and includes a table and benches for playing board games or overflow eating. 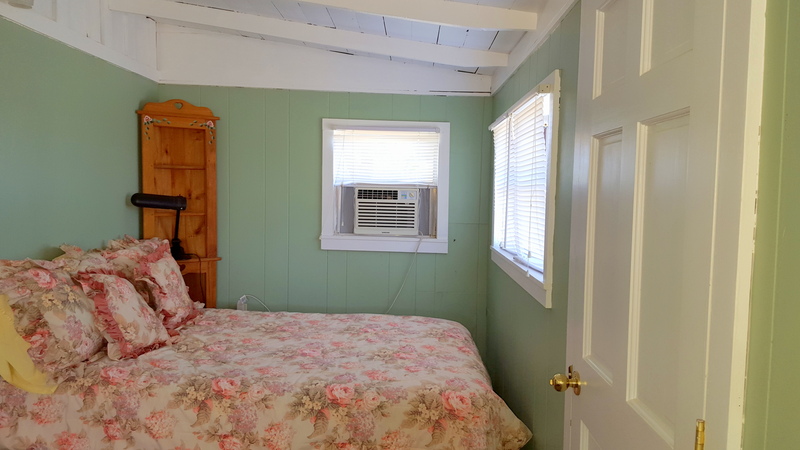 Opens directly onto the kitchen and the front porch which sleeps three (one full bed, one twin bed). Full bed on the front porch. 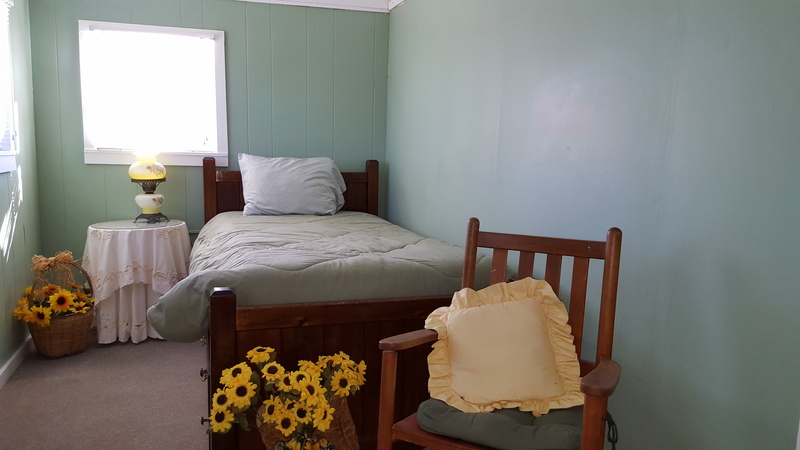 Twin bed on the front porch.